Entrepreneurship entails testing uncharted waters. It’s not a venture for the faint-hearted. But that doesn’t mean you need tremendous courage to wade through business; only a bit of creativity and a strong will to succeed. “So many myths surround entrepreneurship, with some of them having been around for so long they might be taken to be the truth,” said Issa Asad Florida entrepreneur and social media expert since 1996. Mr. Asad is the CEO of Q Link Wireless and Quadrant Holdings, located in South Florida. He is also the author of 4 e-commerce and marketing e-books that can be purchased on Amazon. This assumption has seen many entrepreneurs being forced to contract professionals to write a business proposal for them; usually a long one with a lot of unnecessary jargon and data. A simple plan of about three pages outlining the important aspects of the venture is enough. This myth has limited the take-off of many startup ideas, because of a lack of a full business plan. Success stories around the world indicate of successful businesses that were spontaneous ventures in which entrepreneurs acted out of instinct; just an idea and setting out to make it work without knowing what lies ahead. In fact, over analyzing everything brings in fear, dampening the spirit of courage needed in an entrepreneur. It’s never the right time to get started. Start when the idea is born in you and you feel ready to start. Microsoft was founded during the time of the recession of the 70s and 80s. Advocates of business timing would have called it a poor time to start a business? But we all know what became of Microsoft, even after being started at a difficult time in history. What matters is the will to move on. Stories abound, too, of entrepreneurs who founded their businesses at a time of crisis in their personal lives. When they were laid off work for example, or during a time when their marriages were at a crossroads. You do not need a lot of money to get started. Use what you have and start small. Focus on growing your business venture gradually; it’s even better than injecting lots of money into a way setup whose outcome you’re not sure of. “The Lean Startup,” a book by Eric Reis helps to debunk the myth at you need lots of money to go into business. This myth can delay your startup because of the notion that the overheads the wages of staff will create could cripple your venture. Or that you would need enough money to be able to pay salaries in the first days of the business. Contrary to this way of thinking, you do not have to employ staff for your business to operate. You can outsource, and have freelancers help with the workload. This way, you will have brought the costs that come with employing workers down. 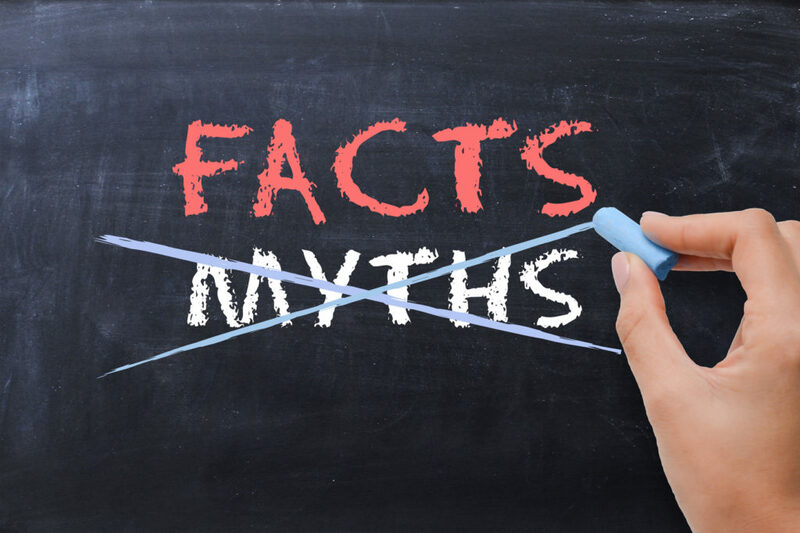 Myths associated with entrepreneurship can delay your startup or mislead you into making the wrong decisions. Identifying them is important, so you can avoid them and chart out your course to success. The joy of every CEO lies under the success of their company. The growth of the company is always crucial and is the best way of showing how much you have done as the CEO. “To achieve this, you should be curious on knowing the things that should never lack on your daily routine,” explained Issa Asad Florida entrepreneur since 1996. Mr. Asad is the CEO of Q Link Wireless and Quadrant Holdings, located in South Florida. He is also the author of 4 e-commerce and marketing e-books that can be purchased on Amazon. Without learning, you will likely get outdated because things are changing every now and then. Advancements in the way we run the companies are continuously being made. The company needs to keep up with the pace and if you want to continue running it even in the coming phases of advancement, you should keep up with the speed. I am a relentless CEO who believes that I can only be able to serve the same position next year through preparing myself today. Books are my best daily companion and happen to be a habit that I copied from the richest people in the world. You can only take the company to its next stage through learning and understanding about that stage. You are the one that should set the expected future of your company. A responsible CEO has to come up with a vision that can be the target. Where does the company deserve to be in 4 or 8 years to come? Which mechanisms or equipment should you introduce? An athlete becomes a victor only after crossing the line that he/she has been aiming for throughout the race. You should also set a vision that will be your pillar of focus. It should be within realistic time. You are the one that should take the company to its next level. To make it to the set vision in time, you should strategize your work. Everything that contributes towards the vision should matter to you. Things such as the code of conduct, goal setting, sales and marketing should be set and monitored through your assistance. Participating in strategy development is important for you. As a wise CEO, you should also be consulting someone who is above your stage. The person can help you in assessing and deciding on the strategies. Having such a coach is also good for you because you will have someone to consult during the hard times. Bankruptcy is a bad thing and should never happen to your company under your lead. It is always important to check your financial standings every now and then. The work should not fully be entrusted to the officer in charge. You should regularly be monitoring and updating your records on the cash flow of the place. Detecting a problem early enough can help you avoid a future crisis. Knowing your stand helps you monitor the pattern of the cash flow. If it starts dropping unexpectedly, you can be able to neutralize the cause on time and avoid a downfall. Organizations spend a significant amount of time and money, hiring CEOs or senior executives to take the company forward. However, according to the Harvard Business Review, there is 50% chance that the new CEO will leave the company. “This failure leads to enormous financial costs while disrupting the organizations’ flow,” explained Issa Asad Florida entrepreneur since 1996. Mr. Asad is the CEO of Q Link Wireless and Quadrant Holdings, located in South Florida. He is also the author of 4 e-commerce and marketing e-books that can be purchased on Amazon. These individuals leave for several reasons, often citing inadequate boarding, poor cultural fit, or even lack of appropriate support. The truth is, most of these new senior executives set themselves up for failure. 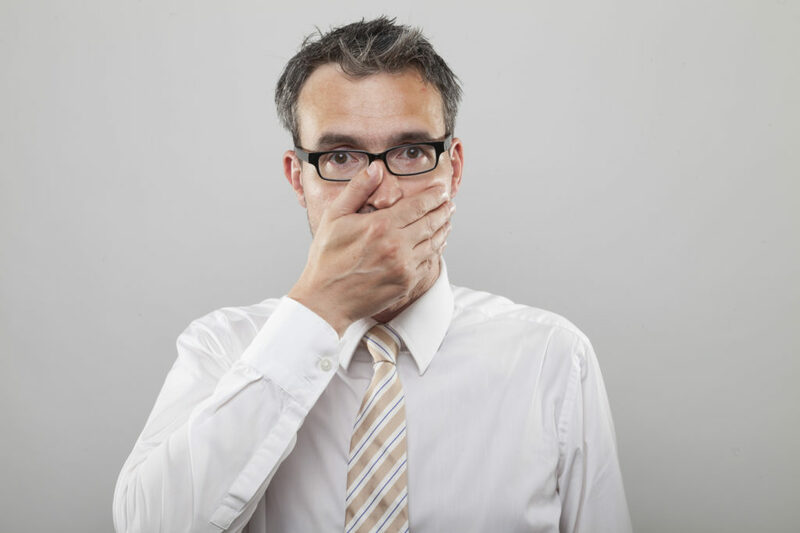 Here Issa Asad Explains 4 Huge Blunders New CEOs Make. Most new CEOs feel the urge or pressure of enacting new changes and making a personal statement as soon as they are hired. Most of them are likely to implement large changes within the organization, just to ensure everybody knows there is a new boss in town. However, new senior executives are advised against such an approach. Instead, they first need to determine what needs to be done, and how it can be achieved. They need to seek for guidance from or advice from senior personnel within the organization. That approach will enable them to fit seamlessly within the organization, uphold the traditions of the institution and undertake changes gradually. 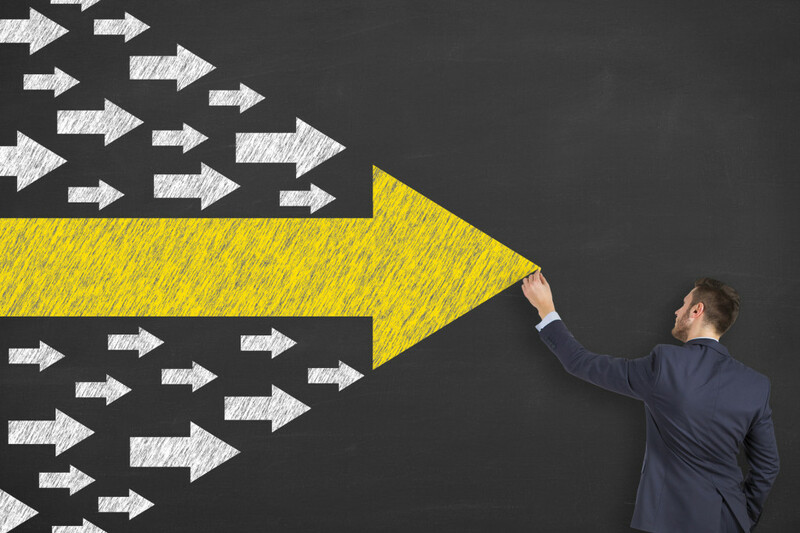 When new CEOs assume their positions, most employees tend to be uncertain about their future with the company. 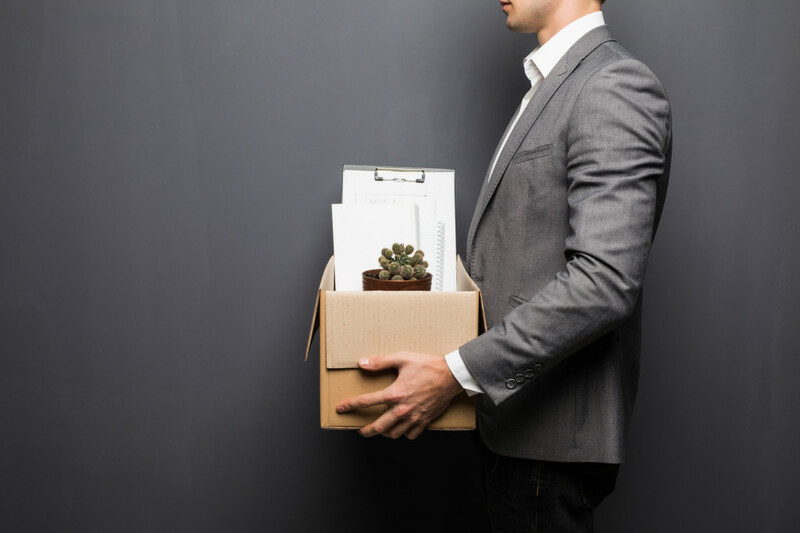 Some new CEOs will fire certain employees, in a bid to bring their own or people they have worked with before. Although staff management and streamlining are necessary for every organization, it remains a delicate and emotive matter, which needs to be handled with care. Therefore, if you are a new CEO and you feel that a certain employee is not up to the standards of the organization, you first need to observe them, before asking them to resign. Give them a month or two, and confirm whether the allegations are true or false. When you do that, you will instill confidence within the entire organization, while giving everyone the peace of mind they need to perform optimally. Hiring is another mistake that most new senior executives run into. Hiring a great team will determine your success within the organization. You need people whom you can trust with the operation of the organization. According to Glassdoor, more than 95% new CEOs have made poor hiring decisions, within their first year of their respective organizations. If you are working alone, it is impossible to find the right fit for the organization. That’s why new senior executives are advised to invest in rigorous and structured recruiting processes. Every successful organization has a clear vision and mission statement. Emphasizing the company’s mission and vision statement gives the employees an opportunity to revisit them, and align their goals and objectives accordingly. Take your time in the organization to assess the vision and mission, and then implement the necessary changes. It is a common custom for people to flock the stores immediately after Thanksgiving. Well, this is not the case with Justine Lackey who heads Briarcliff Manor, a successful entrepreneurial money-management firm located in N.Y.
Lackey’s standpoint on donating earlier on before the end of the year is very practical given the fact that tax laws keep on changing. “Tax laws can be modified with changes focusing on capping itemized deductions,” said Issa Asad Florida businessman and entrepreneur since 1996. Mr. Asad is the CEO of Q Link Wireless and Quadrant Holdings, located in South Florida. He is also the author of 4 e-commerce and marketing e-books that can be purchased on Amazon. To assess the credibility of a charity and get more information about it, charitynavigator.org is a suitable website to explore. Herein, you will find crucial details including the charity’s financial state, expenditures, revenue, and leadership compensation among others. 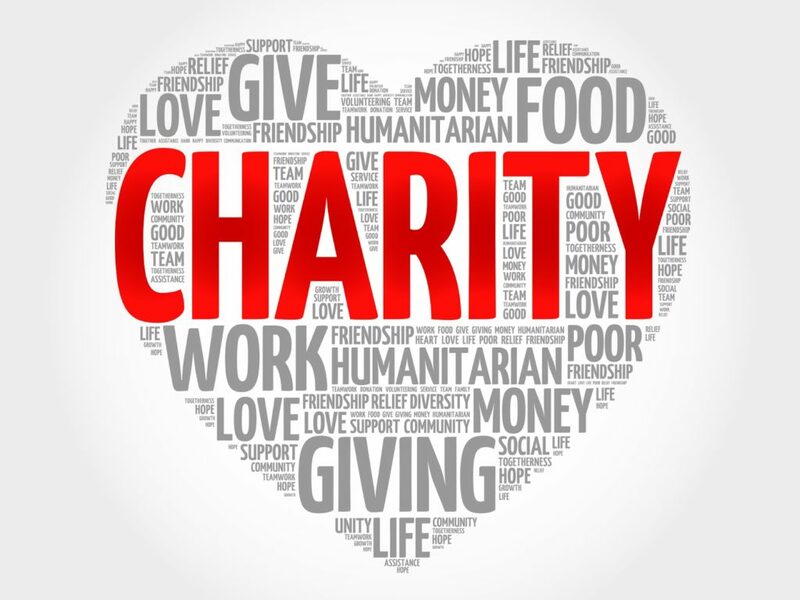 Lackey also stresses the need to ascertain if your donation will be deductible by confirming with IRS the exemption status of the charity in focus. There are no restrictions as to the amount you should offer to charity. Nonetheless, if you decide to take a tax deduction understand the guidelines to adhere to. According to Lackey, for a sole proprietor, your itemized personal tax return forms the basis of your donations claim. As for those in a partnership or S Corp, you claim donations on your itemized personal tax return by deducting part of the contribution. Based on the charity’s IRS category, on a personal return, deductions can be effected between 30%-50% of your adjusted gross income. The 50% category comprises churches, schools and private-operating foundations. The 30% category comprises fraternal societies and veterans’. Deductions amounting to 10% of taxable income can be made on the business’s return in case your business falls in the category of C Corp.
Records act as proof of your contribution to charity. Cash donations demand bank record in form of a canceled check or written record from the charity validating your donation. As for donations exceeding $250, a written record from the organization with particulars such as date, amount and any goods or services offered in exchange for the contribution is necessary. For anyone, including up-and-coming entrepreneurs, parents represent one of the most important elements in their lives. Without their support and encouragement, anyone will have a lot tougher road, practically and emotionally, leading to their success. But, at the same times, entrepreneurs often find themselves in a situation where they have a hard time presenting their vision to their parents. “This is even more demanding if the same parents, like most others, simply want their child to have a stable, but regular career,” said Issa Asad Florida entrepreneur since 1996. Mr. Asad is the CEO of Q Link Wireless and Quadrant Holdings, located in South Florida. He is also the author of 4 e-commerce and marketing e-books that can be purchased on Amazon. Thankfully, there are ways how anyone can help their parents see their side of the entrepreneurial dream, which takes time and effort, but gradually brings about the wanted results. When an entrepreneur has that unique dream for their business, they should not go and immediately quit their day job. This will shock most parents and because of this, having a solid track record of success is a much better alternative. Conservative parents who are focused on working hard will see a stable job as a sign of determination and willpower, while would stop them from believing that the entrepreneurial desires are just a way for their child to have fewer obligations. Crushing a day job shows everyone a person has both great discipline and good work ethic. With patience and hard work, the same young entrepreneurs will eventually get their shot at a new business venture, but this does not stop them from building a great previous career. Entering the entrepreneurial role sometimes means for people the chance to do whatever they like. This rarely wins sympathies from friends, family and especially parents. Any person, regardless what they do, has to be ready to support their loved ones however they can. This means paying the dues either at home, school or work and being mindful of the needs and wants of their parents. The same is the only way of being a reasonable adult while chasing their dream. In many cases, including articles like 7 Entrepreneurs Reveal Their Daily Morning Routines, successful individuals share that they at one point in their lives, had an open conversation with their parents about the future they desire. When this is brought up, everyone states that honesty is the best policy in this situation and that is why it is important for every entrepreneur to be open with the parents. Without honesty, any relationship is bound to become a struggle for all involved. Sometimes, regardless of how much a person is dedicated, open, honest and hard-working, they will not be able to get their parents on their side. There are many reasons why an entrepreneur could be denied a blessing by their parents, in spite of the fact that he or she is doing everything right. If this happens, the person has only one choice: grit it out and stay on the course they desire for themselves. This stifling of child-parent relationship could last for months or even years, but the entrepreneur should not give up on their dream. Instead, they must keep grinding and follow the path they set out for themselves. Every parent will eventually recognize this and come around to their child’s side. Successful entrepreneurs are utilizing pizza, french fries, and apple pie to accomplish financial freedom in the 21st century. Just what exactly do these foods are locked up in becoming a successful business owner? Apart from being many of the most popular foods on this planet, they’re very complimentary of each other as well. Pizza is an excellent main course. French fries really are a delicious side dish, and apple pie is the delicacy that brings everything together. Are you getting hungry yet? These food types all taste great by themselves however collectively they create a perfect synergy with a flavorful explosion. This food analogy is essential to remember if you want to have success as an entrepreneur. Here, Issa Asad Says Success Lies in Your Daily Morning Routine. “To be an entrepreneur, you must have a main course, which may consist of primary work from home opportunities, side dishes, which may include affiliate income streams, and dessert, which would include a training system that will bring every thing together,” said Issa Asad Florida entrepreneur since 1996. Mr. Asad is the CEO of Q Link Wireless and Quadrant Holdings, located in South Florida. He is also the author of 4 e-commerce and marketing e-books that can be purchased on Amazon. This training system would educate you on how to market your business opportunities and affiliate income channels the right way using the power of the internet. The top training programs will focus on teaching you personal branding and attraction advertising models that will help to build your trustworthiness as an entrepreneur. Successful entrepreneurs have love, passion, and appreciation for their work. If you’re looking to have success as an entrepreneur, then it’s vital that you make certain you are proud of the businesses that you represent. Make sure that they’re respected companies that your self and others would feel proud to stand for. If you don’t genuinely believe in the companies that you are involved with, then you’ll never grow to be a successful entrepreneur. It’s important also to consider the long-term future potential of the organizations that you’re involved with. Will they be around in the future? Are individuals enthusiastic about the organization itself or the goods that they provide? Are these businesses with the times or are they still caught up using outdated network marketing processes to market a business? Selecting the best affiliate revenue channels will truly assist to compliment your primary business opportunity. Affiliate income channels will assist you to fund any advertising and expense costs associated with running your company. In some instances affiliate commissions could even give you more income than your primary income opportunity. There are tons of successful entrepreneurs these days that are millionaires off of affiliate revenue channels alone. It’s important to diversify your business portfolio and have several streams of affiliate earnings if you want to have long lasting success as an entrepreneur. Producing the perfect synergy is essential if you want to create long term success. Having a great income opportunity and affiliate income streams are meaningless unless they’re promoted properly. Marketing is the key to success being an entrepreneur. Choosing the people that want everything you provide and giving it to them is the golden nugget that most business owners are missing. The web has changed the way in which business is being carried out. The days of disturbing relatives and buddies and pitching a network marketing business are gone. These techniques don’t work any longer. The web is producing new millionaires every day without resorting to old multilevel marketing principles. If you are still using old network marketing techniques to build a business, quit instantly. If you’re able to learn how to take your primary online business offerings and affiliate streams and market them the correct way with the help of the internet then you can also become one of these new millionaires. The internet is a virtual playground in which true wealth is being developed daily. Here’s where the dessert comes in. If you are searching to turn into a successful entrepreneur you’ll need to become involved with a marketing and training system program which will teach you how to personally brand yourself and market your company and affiliate channels utilizing twenty-first century advertising models. The top training programs will coach you on step-by-step how to get started and grow your online kingdom. All you should do is study what these systems coach you on and implement it. Your long term achievement depends upon exactly how hard you are willing to fight to accomplish your dreams. If you’re ready to fight for your goals and start constructing your legacy, then it’s time for you to make a change. Join the list of already successful entrepreneurs which are creating enormous prosperity online and that are taking the internet by storm. Starting your own business and watching it grow and succeed can be one of the most rewarding things you can do in your life. 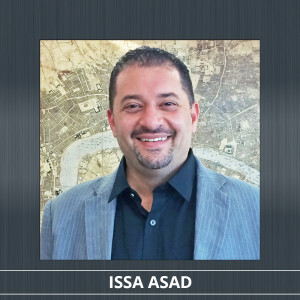 Issa Asad Florida entrepreneur and businessman agrees: “Anyone who has done it will tell you it’s not at all easy, but well worth it in the end.” Mr. Asad is the CEO of Q Link Wireless and Quadrant Holdings, located in South Florida. He is also the author of 4 e-commerce and marketing e-books that can be purchased on Amazon. Of course, there will come the day where you are to leave the business, whether you are selling it or simply handing the reins over to someone else to run it, be it for retirement or to help it along to the next step, how do you leave the business with grace? It’s likely a labour of love, your business. It’s why you started it. You build it up, helping it along the way, you’ve invested so much time, effort, and money to help it succeed, make sure that’s the reason. Don’t just do all of the work because you see your retirement cottage at the end of it. If you simply build it to sell it, you may be missing some very important aspects for its success, like heart. Don’t cut corners. Love the business, it will love you back. It might seem like a ridiculous thing to say but it’s actually very easy to be blinded by what’s right in front of you. Not only understanding what the business is and does, but it’s worth in a monetary sense as well and its value to someone else and its place it the larger market of similar business’. Don’t underestimate the worth on the marketplace but also don’t be greedy and lose out on a potentially great deal. Nothing will frighten off a potential buyer than a weak management team. Infighting, overly competitive managers, unhappy employees all make for a less than appealing transaction. Keep the top staff happy, keep them informed of coming change and weed out the less productive and unhappy workers. You want to show the company at its best, let the buyer know it is strong and ready to move forward and grow with the new adventure. The timing of the sale is very important. This can depend on several things. Perhaps you are ready but the market is weak. You need to hang in until the the valued price is there. You also don’t want to jump on the first offer. Don’t appear to be always ready to sell, as it may look as if there are problems within the company. If you are always ready to sell, chances are this is true. Do your homework. Find out who is on the market for such a business, are things in a good place to sell, or do you need to sit still for a while. 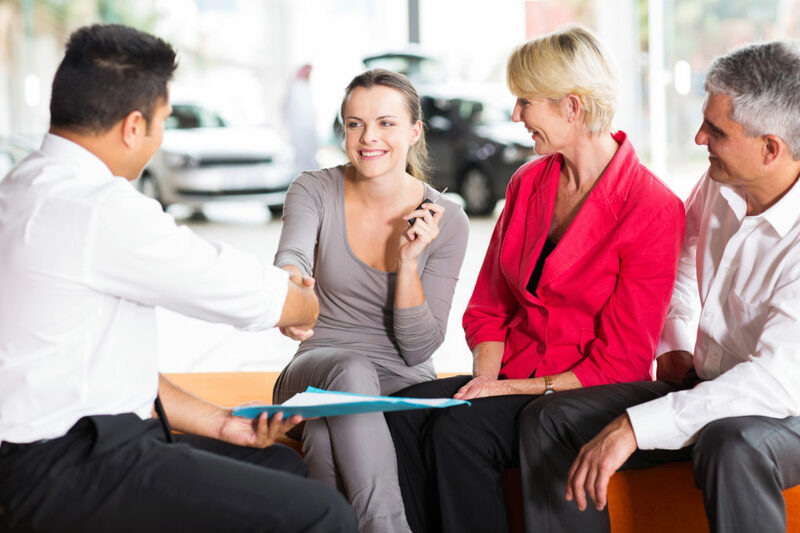 Be very clear about the why, how and when for the business sale. Regardless of the business you own, understanding it and the market it’s in is very important. You want to do best by everyone, the business, the team, the buyer, yourself. Be patient, be honest, be informed. It’s your baby. No one has ever started a home based business with the intention of failing. “While most people bent on starting their own home business are convinced they have all the right answers, they quickly find out that if they really try they can run it right into the ground,” said Issa Asad Florida entrepreneur and businessman since 1996. Mr. Asad is the CEO of Q Link Wireless and Quadrant Holdings, located in South Florida. He is also the author of 4 e-commerce and marketing e-books that can be purchased on Amazon. Lack of management experience is the most common source of failure. Many home businesses are begun by individuals with no management or supervisory experience at all. They believe that since they are pretty darn good at doing their job and a few people may be willing to pay them to do it for them, they can set up a file cabinet at home and start their own business. They have no idea what to put in the file cabinet, they just know that all offices have one and they will need one as well. Their lack of management experience can be exacerbated by their lack of dealing with personnel issues, but since they are the only one employed by the business this is not going to be a big problem until they realize they have no health insurance. That was something the personnel manager took care of. As money starts to come in from the first jobs, the new owner may have to pay some bills right way and often the money is spent without regard to the best way to allocate the funds. They forget about the business expenses and spend everything on personal needs and wants. After all, it is their business and the money is all theirs, right? Failure to present a professional environment will also lead to a business downfall, no matter what type of business it is. Even a one person shop needs to show their customers that they are a viable business and can act and look professional. This will also help them be presented as a credible business. Most people are becoming used to the idea of dealing with owners of home based businesses, but most look for signs of them being credible. If your industry or state requires a business license, you will need to get one and post it in you office. A membership in industry organizations can also help lift the credibility rating and make more people more comfortable in dealing with you. Believe it or not, even placing advertisement in the local newspapers can ad to your credibility. Lack of advertising and promotion is another sure way of running the business into the ground. If the general public has no idea that your business is open and what services you offer, your friends and relatives will not have enough business to keep your head above water. So if you are positive you want your business to fail, start it on a whim with no plan for how to spend the money, do not advertise it and only change your clothes when the family will not speak to you. As we all know, the boss in a company setup is typically solely accountable for everything. Therefore, the character of the business in itself replicates that of the boss and often trickles down from the top. In other words, a productive leader will always drive a positive whereas a toxic one will develop an equally toxic team. Consequently, a poorly performing team leader is more likely to create more challenges for the company than solutions. “Bad leadership in one way or another leads to staff conflicts, and when this happens, the business starts to sail in the wrong direction. In a nutshell, poor leadership could quickly derail a start-up,” said Issa Asad Florida entrepreneur and businessman since 1996. Mr. Asad is the CEO of Q Link Wireless and Quadrant Holdings. Therefore, it is important to get people working cohesively with a similar motivation to achieve a common objective. Contrary to this, if the boss manages the team inappropriately, it is unfortunate that the said group will perform dismally and the business will fail as well. So, what are some of the indicators of poor leadership? In this article, Issa Asad Gives 3 Reasons Why Your Startup Leadership Can Fail. An ultimate flow of communication within an organization is paramount. Passing information about a particular vision with clarity to the team, what they have to do, and of course, the steps taken to achieve success in their commitment are all ingredients that should be demonstrated by an effective leader. As a boss, having a clear vision in your mind is just one aspect of leadership, but sharing and outlining that vision effectively to others is a roadmap to business success. Although communication is vital to success for any business, it has turned out to be a common flaw in some managers who think that communication is one-way rather than two-way. That is why these managers often speak to their subordinates without confirming if indeed they understand why they are required to do something. It is recommended that bosses should develop excellent communication skills to demonstrate effective leadership and be able to share ideas as well as knowledge to transmit a sense of enthusiasm and urgency to others. It is undeniable that getting the right people during business start-up can break or make the company. If the unproductive workers enter the organization, they will do nothing, but they have to be paid. In the end, they derail your capital and of course, dismantle your dream of achieving success. 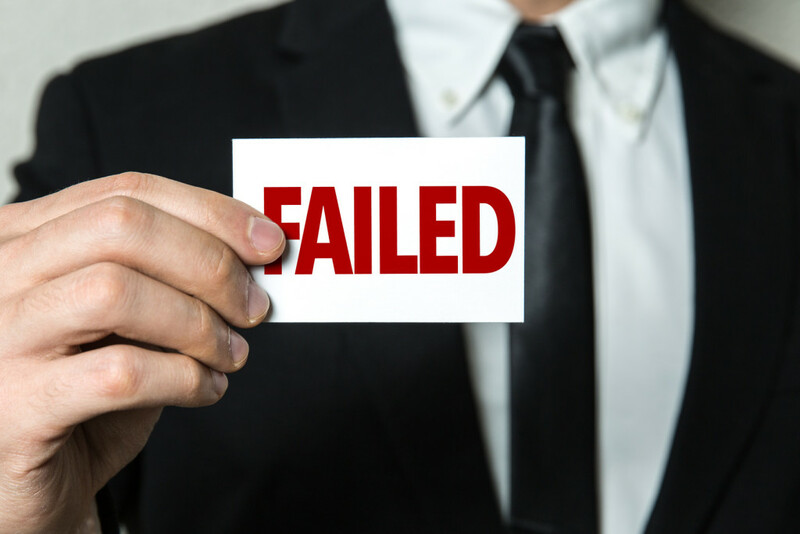 Thus, it is clear that the main way a leader of an organization can fail both the team and the company is just one swoop is to litter the team with unproductive, wrong, ineffective employees by failure to check critical details during recruitment. As we all know, running startup business entails numerous challenges, and therefore, it is sometimes hard to muster enthusiasm. Nonetheless, without showing a sense of motivation to those who individuals who work for you, it is almost impossible that you will succeed. In this regard, people often respond to the enthusiasm with belief and positivity in the leadership. By and large, the real secret of success is none other than enthusiasm. Regularly, when a business person makes the intense jump from an employee to an of their own business, one of the primary difficulties they face is at no time in the future having a person above them to set objectives, due dates, and motivating forces. “The obligation of motivation turns into an assignment of self-inspiration,” asserted Issa Asad Florida businessman and entrepreneur since 1996. Mr. Asad is also the CEO of Q Link Wireless and Quadrant Holdings, of South Florida. Each business has to have a mission or vision articulation, something that portrays the association’s more broad objectives, culture and major center esteems. It is used to set the bearing of the association and rouse partners. For these same reasons, each business visionary ought to set his or her very own statement of purpose. The vital thing here is to record your statement of purpose, convey it to you, read it so anyone might hear, retain it and tattoo it on your lower arm. It ought to fill in as a steady update about your motivation for turning into a business person. Similarly, as in business, a statement of purpose is futile without an arrangement to execute on it. You too ought to create and record your own and expert arrangement, including here and now and long objectives. This method won’t be penned and surrounded, as it is natural and will change as your conditions change. The reason here is to have a have a clear concern of what you need to fulfill by and by and how you will accomplish it. Getting yourself spurred is about the beginning. Thus, you ought to begin each day with an awesome morning schedule, which will help your psyche and body to be ready, engaged and arranged to make new propensities. As a component of your schedule each morning, you ought to invest energy surveying and refining your arrangement. 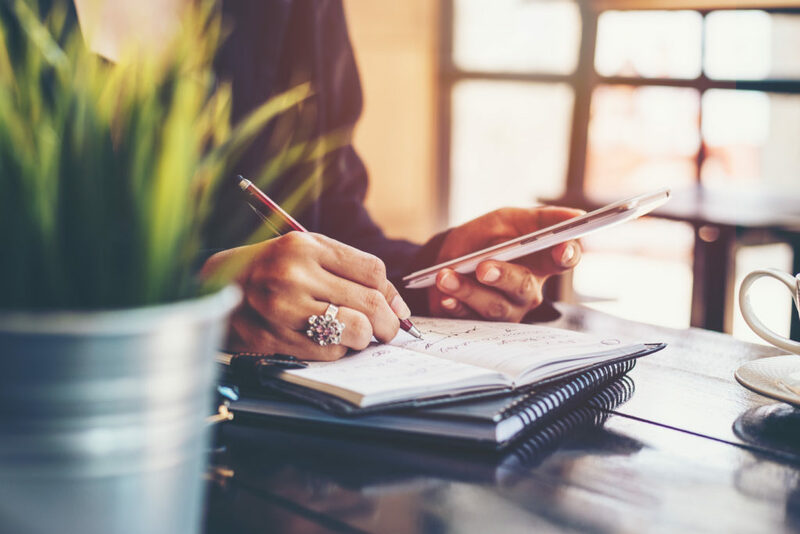 Since business people can frequently get gotten up to speed in their business, it is essential to set individual time amid the day for yourself. Amid this time, enable yourself the adaptability to go out for a stroll, think and ponder or even exercise. Also, use this opportunity to eat appropriately and drink water, two critical propensities that will go far to help you remain centered. Indeed, even with an arrangement, it can be hard to remain on a schedule. 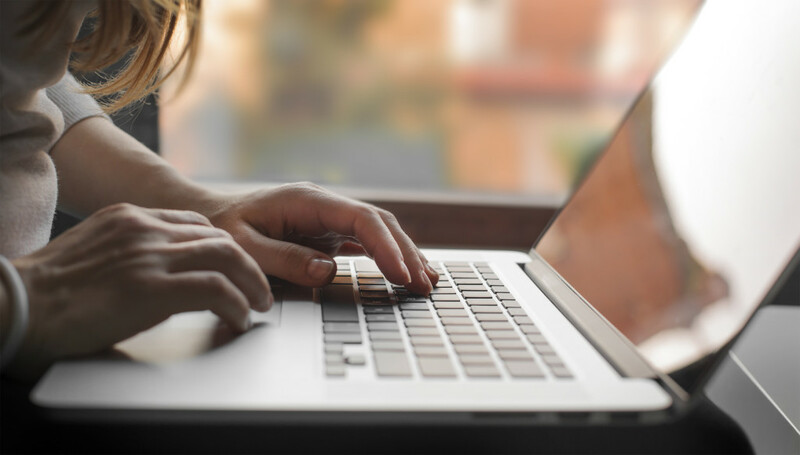 Thus, build up a propensity for setting updates for the duration of the day for the critical assignments and everyday objectives you have set. Utilize your alert, with a reasonable volume, likewise to remind yourself to remain concentrated on an errand. A caution that says, “Take a deep breath and relax to work” would be ideal for a few of us! You can likewise remain on track utilizing time blocking, or the way toward setting particular spans of time in your datebook for a particular work, undertakings or assignments. Require somewhat more offer assistance? Consider these flighty motivational and profitability applications for the bad-to-the-bone business person. We are wired to respond to motivating forces, so be set up to reward yourself for finishing an objective. Much the same as in business, you ought to perceive and remunerate little triumphs and route to long haul, more extensive objectives. What’s more, if you require a more motivating force, consider a clock that numbers down your residual life and reminds you to make the best of what time you have cleared out.